This post may contain affliate links. Momma’s Famous Pumpkin Pie will make your family and guests happy when you serve it for Thanksgiving dessert. Serve with a dollop of whipped cream and you will here the compliments. 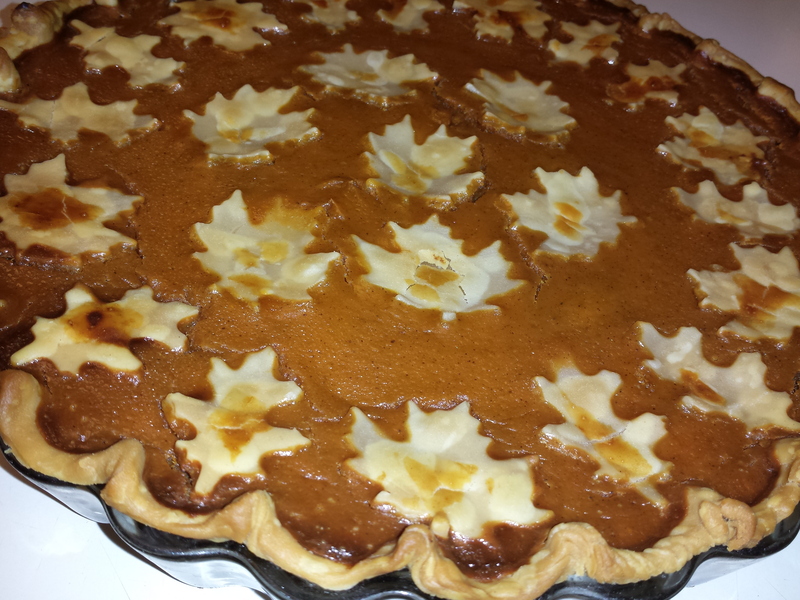 This recipe is the traditional pumpkin pie recipe that has been passed down through generations and it is so easy to make. My daughter and I made pies for Thanksgiving and I call this one Momma’s Famous Pumpkin Pie. 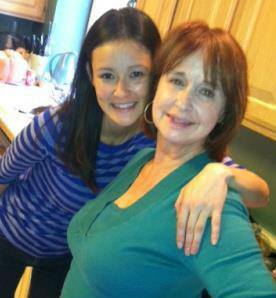 Making pies with a family member can make the holidays special and memorable and become a tradition. We also made apple pie. 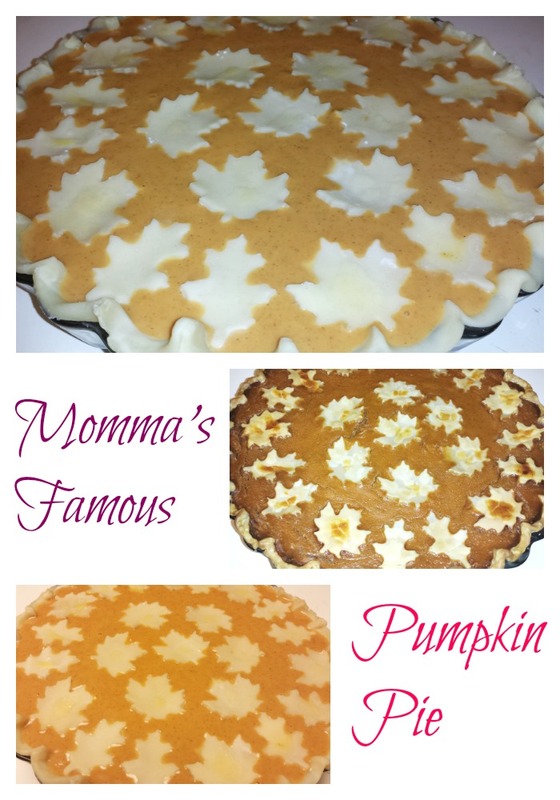 This recipe is passed down from my Mom and is the same one my she made with me and that is why it is called Momma’s Famous Pumpkin Pie. Using a leaf as decoration for the pie makes it cute and festive for the dessert table. The cookie cutters that I used are the Wilton Mini Leaf Cookie Cutters. These Maple Leaf Cookie Cutters or Autumn cookie cutters would also work for fall decorating or Thanksgiving. And if you are planning for Christmas here are some Holiday Cookie Cutters. 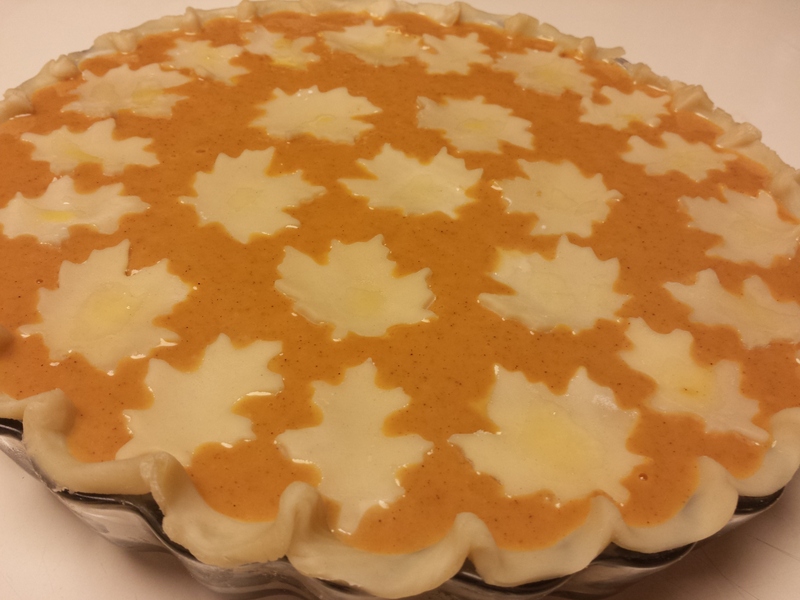 Cut the Leaves out of your pie dough and make your decoration. Add to pie crust in pie plate. Bake for 15 minutes at 450 degrees F.
Bake for an addition 35-40 minutes until toothpick inserted in middle comes out clean. Cool on counter for 2 hours before serving.